Charlie is really cute! Mommy says FB is incredible and she's thrilled your Mom found her good friend! That is amazing. Charlie is a darling. I am so glad that your Mom and her good friend got together again on Facebook. Aww, Charlie is very sweet! Social media does bring our worlds closer together! 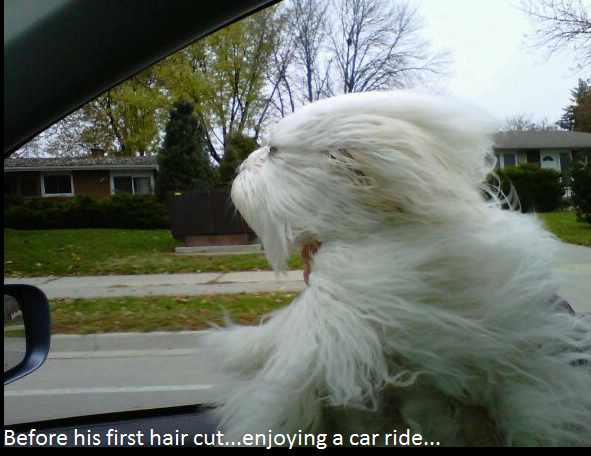 Ahhh...I LOVE the doggy in the car window shot--too cool for words! Tommy thinks Charlie is a cutie too--and Facebook...Tommy LIVES on that Wall-it's great it brought too old friends together. Technology is something else! Charlie is really cute! How nice that your mom found her friend again! Cute woofie, but it's always scary when the mom posts something about a woofie on a cat blog, isn't it? We're glad your mom found her friend again - and that is a very handsome dog. Of course just because he is handsome doesn't mean he can take over your post Delilah. We'll get the placards out and start picketing your mom! What a cute pup ~ love the last photo ~ classic! How nice that yoor mommy and her friend were reunited. Our mommy found 2 olf friends she'd lost touch with on Friends Reunited! Isn't the internet a marvelous thing? I have to agree about FB. I have found people that I taught horse back riding when they were like six years old back in the sixties. It is so much fun. That Charlie is soooo cute. Delilah, I bet you would get along fine with Charlie. We love our dogs here. He looks like a really fun dog. That Charlie is one cute woofie fur sure! 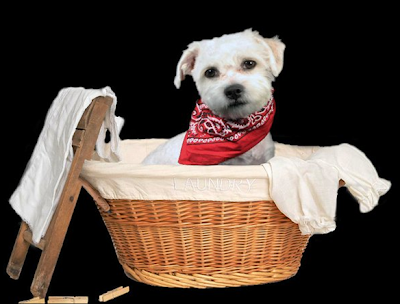 Oh goodness, that woofie, Charlie, is adorable! YAY for mum finding Donna and her most wonderful and adorable woofie, Charlie!! Awwwwww what a sweetie!!! How wonderful that your mom and Donna have reconnected again!!!! Childhood friends are soooooo special. We agree, Deli, Charlie is a cutie!!!!!!! Charlie is adorable, and I love finding "old" friends on Facebook! Charlie is so cute! We hope you guys can inspire him to start a blog so we can learn more about him. Isn't Facebook great? Mama is always finding old friends on there! He is truly adorable. I love him. That's wonderful that your mom found her friend through Facebook! And Charlie is as cute as can be! We'd love to see him at a hockey game! Charlie is sooooooooo cute! thank you for introducing him to us! I love the photo with him and his furs blowing in the wind! Charlie is a doll! We think it's cool that your mom was able to find her childhood pal.